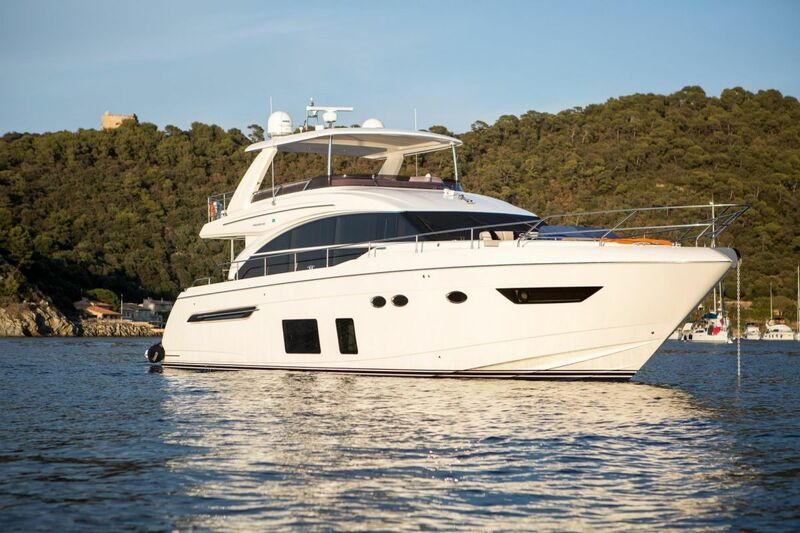 Delivered in 2016, this Princess 68 yacht is in as new condition. 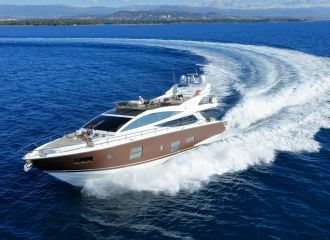 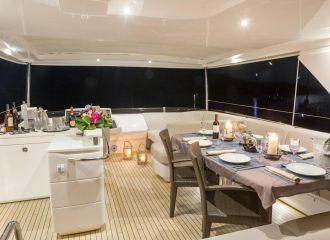 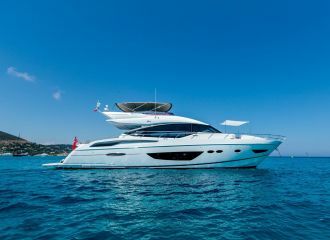 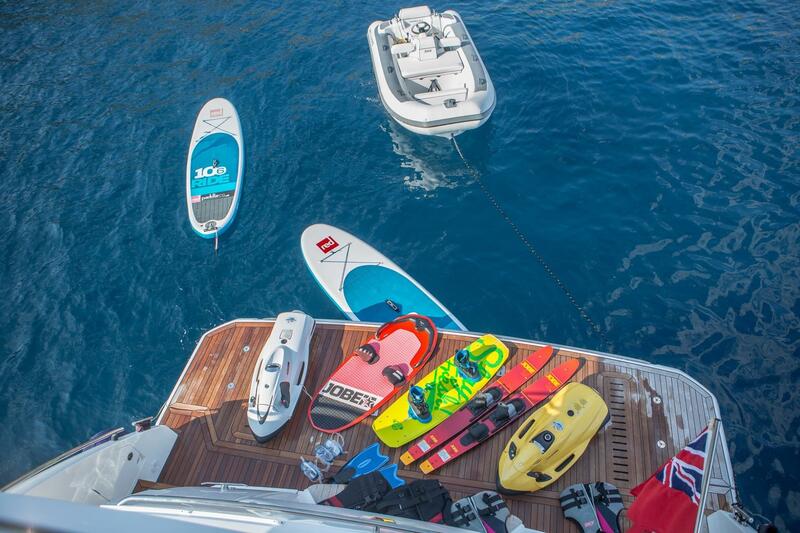 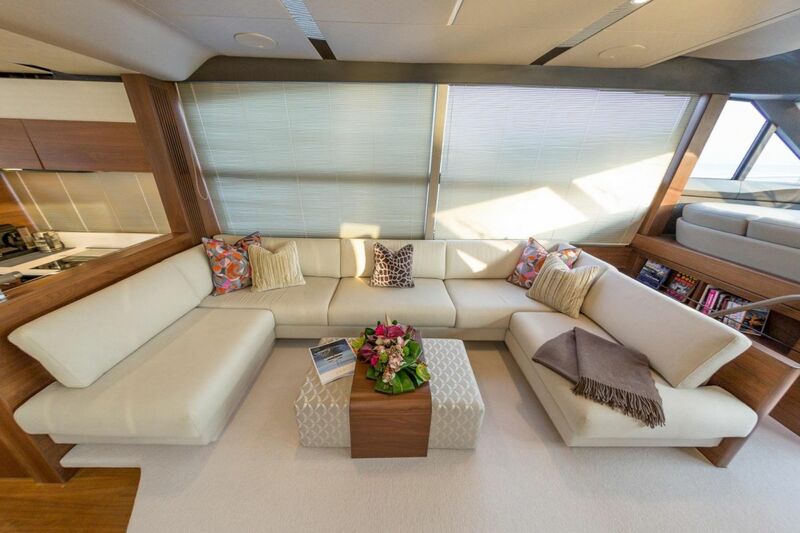 The yacht’s entertaining areas are perfect for a French Riviera yacht charter. 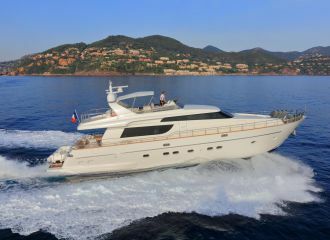 With stabilisers both underway and at anchor, you can cruise in comfort and explore the coast from Cannes to Monaco or St Tropez. 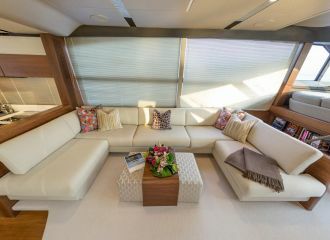 The interior is very light and airy. 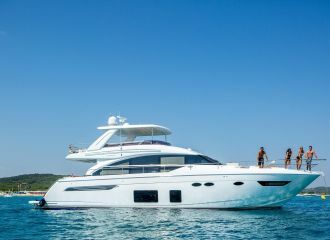 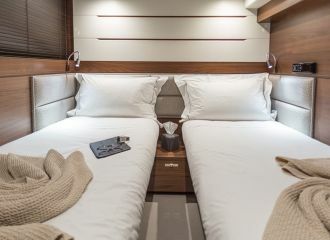 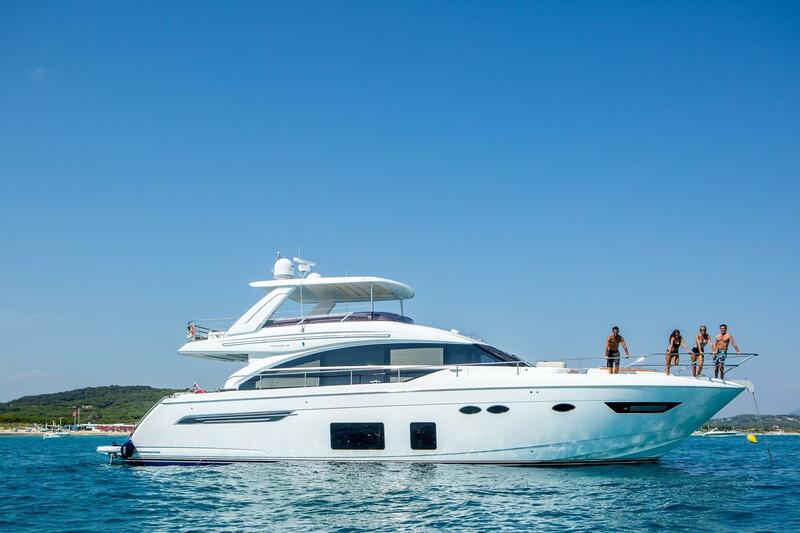 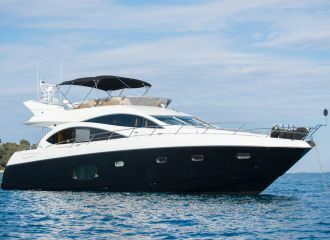 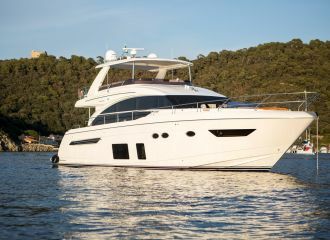 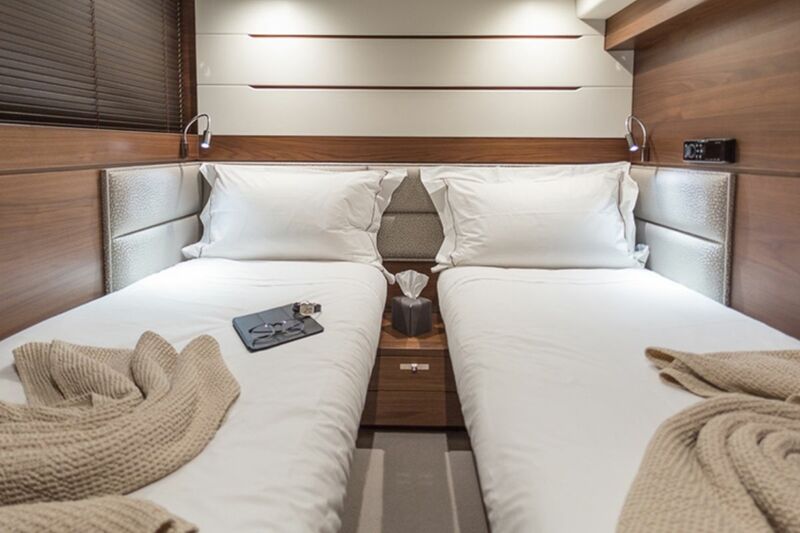 This Princess 68 yacht offers accommodation for 8 guests in 4 cabins: 2 double and 2 convertible which can be set up either with a double bed or with twin beds. 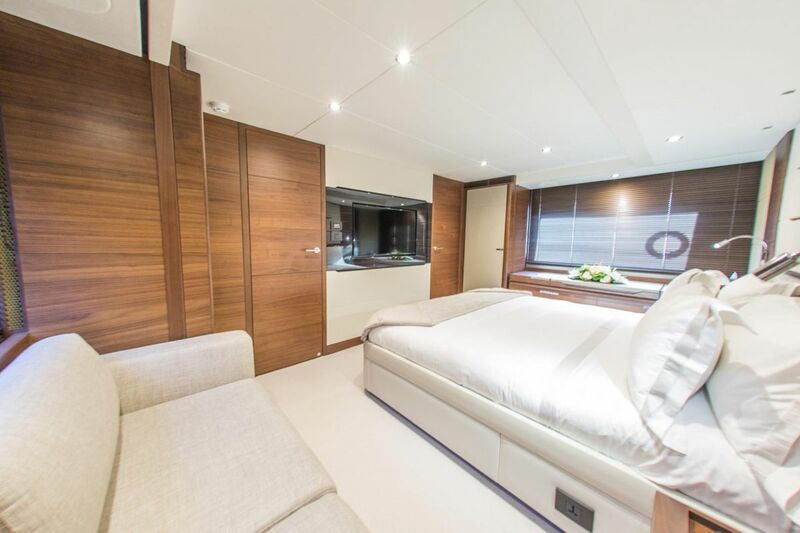 The 2 double are en-suite and the convertible cabins are sharing a third bathroom. 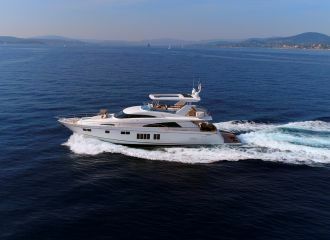 total 5900	€ Excluding VAT and APA ?